This intensely moisturizing hydra-gel peel off eye mask is a targeted treatment to help instantly reduce the appearance of fine lines and wrinkles. Eye contours are left smoother, brighter and more youthful. 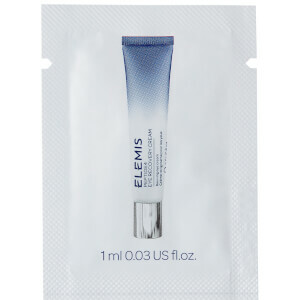 Tear open sachet and remove one hydra-gel mask from the plastic backing sheet. Gently press the gel mask sticky side down onto the under eye area. Remove the second mask from the backing sheet and place under the other eye. Leave on for 20 minutes. Remove and dispose. Aqua/Water/Eau, Glycerin, Ceratonia Siliqua Gum, Carrageenan, Phenoxyethanol, Panthenol, Lactobacillus/Scutellaria Baicalensis Root/Camellia Sinensis Leaf/Artemisia Princeps Leaf/Houttuynia Cordata Leaf/Citrus Junos (Yuzu) Fruit Extract Ferment Filtrate, PEG-60 Hydrogenated Castor Oil, Simmondsia Chinensis (Jojoba) Seed Oil, Maris Aqua (Sea Water), Ethylhexylglycerin, Sodium Hyaluronate, Caprylyl Glycol, 1,2-Hexanediol, Plankton Extract, Disodium EDTA, Chlorella Vulgaris Extract, Potassium Hydroxide, Ricinus Communis (Castor) Seed Oil, Butylene Glycol, Padina Pavonica Thallus Extract.